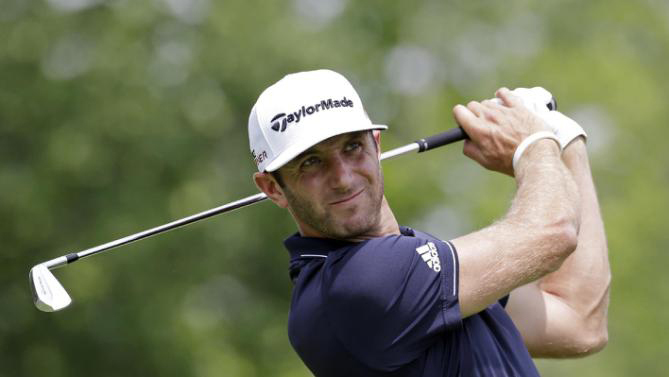 South Carolina native and Coastal Carolina University alum Dustin Johnson has made waves in the professional golf world for years and has recently risen to prominence as the No. 1 golfer in the world after top showings at Riviera and the Mexico Championship. Though he is the top player on the world stage today, his history with the Grand Strand has served as a foundational stepping stone of his golf experience. Johnson grew up in the state capital of Columbia, where he led his Dutch High School golf team before signing with the Coastal Carolina University Chanticleers in 2003. During his tenure at CCU, Johnson earned honors such as Big South Player of the Year ('05, '06, and '07) and First Team All-American, and he helped lead the team to a fifth place finish at the NCAA championships his senior year. Johnson is CCU's Career Scoring Leader (72.11), Season Scoring Leader (70.40), as well as record holder for the school's Best 36 Holes and Best 54 Holes. Dustin turned professional in 2007, and in the years since 2008, he ranks only second to Tiger Woods in PGA Tour wins. Johnson's most recent victory in Mexico City was his 14th in that nine-year span. In fact, of his last 15 starts, Johnson's has claimed triumphant in five of those, including a major and two WGC titles. Although his fame and success continue to expand, Johnson has not lost the connection with his second hometown of Myrtle Beach. The golf superstar kicked off the inaugural year of the Dustin Johnson World Junior Golf Championship in February of 2017, where players from youth and college programs competed in a fun, competitive environment along the exquisite courses of the Grand Strand. The event featured 104 players, representing 19 different states and five countries. Johnson even made a surprise appearance at the awards ceremony, where he presented the winners with trophies. No matter how far Dustin Johnson's experiences take him, this Myrtle Beach "local" and native son has left his mark on the world and spot of golf.